Specialists in endoscope reprocessing for more than 30 years! + Safety first Fully tested detergent and disinfectant with excellent efficacy, according to ISO 15883. 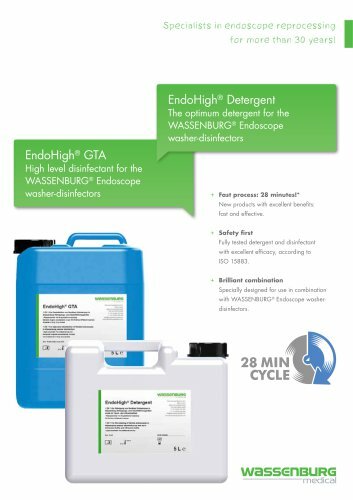 + Brilliant combination Specially designed for use in combination with WASSENBURG® Endoscope washer-disinfectors. Wassenburg Medical - "Endoscope reprocessing at the highest level!"